Please click on the thumbnails above to see a larger version. 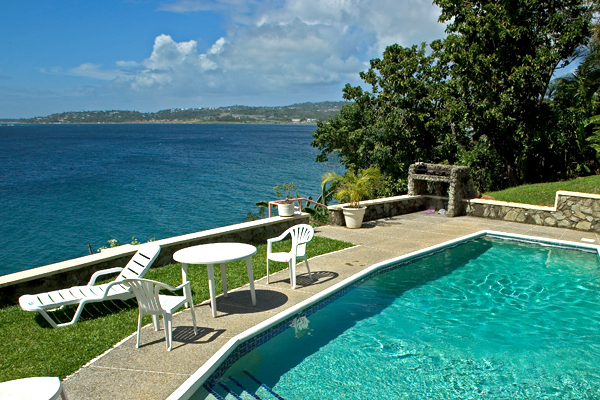 This is a stunning family villa on Tobago’s southwesterly coastline, with ocean views, and accommodating up to 12 guests in style and comfort. A pool, jacuzzi, nearby secluded beach, and over an acre of tropical gardens all make this a very desirable Tobago holiday accommodation. 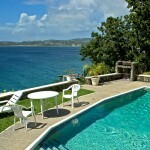 Seabreeze Villa is on Tobago’s seafront and sleeps 12. 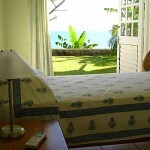 It’s an extremely popular accommodation, with amazing views of the Atlantic. A wide verandah along two sides of the house provides a scenic 180° view of the ocean. Almost everything in the villa is new including furniture, beds and white goods. There’s a well maintained pool and jacuzzi. 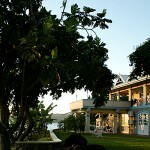 The villa has six air-conditioned bedrooms and six bathrooms, with accommodation for up to ten people. For flexibility and privacy the villa is built on two main levels, an upper and a pool level, with 3 bedrooms and 3 bathrooms on each. Both have private entrances so if you book as a group or with friends, you can have your own bit of space if need be. 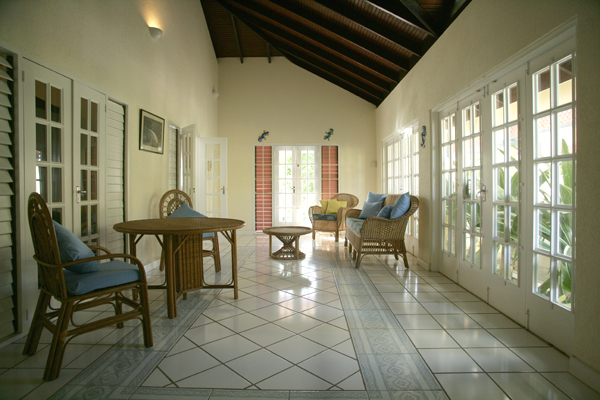 On the upper floor is a fully equipped kitchen, living area with windowed sliding doors that open onto the verandah making one large and breezy living space which is fabulous in the Tobago tropical heat. There’s also a large patio for sunbathing by the pool and al fresco dining in the evening. The lower level has three bedrooms, a small kitchen and pretty living room with French windows opening out onto the pool area. Tobago’s Bacolet Bay was the setting used for the film ‘Swiss Family Robinson’. 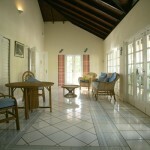 The privately owned villa sits in an acre of lush tropical gardens, with Caribbean plants and fruit trees. In season, help yourself to mangoes and limes, banana, avocado and grapefruits. There’s cable TV and wireless broadband internet so that if you have to stay in touch with the rat race, you can. Some of Tobago’s secluded beaches are a short stroll away. A maid will take care of the housekeeping and is available to prepare meals by arrangement. The property managers will pick you up from Crown Point Airport and bring you to your Tobago villa, ready to start your holiday. 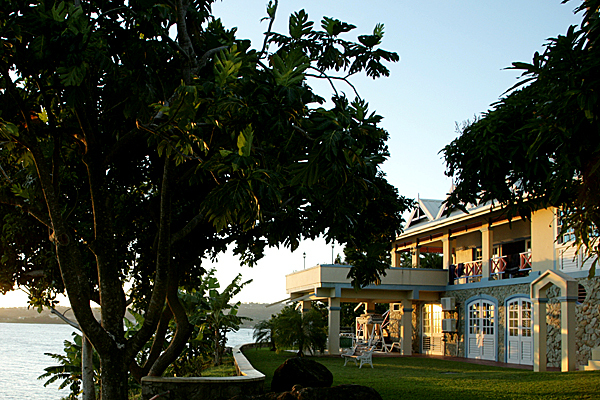 Seabreeze Villa is a perfect setting for a Tobago wedding. Contact the villa owners for more details. Henry Marriott is the efficient and friendly owner of the property and he and the management team can help you with your queries about hiring the villa for a Tobago holiday or wedding. 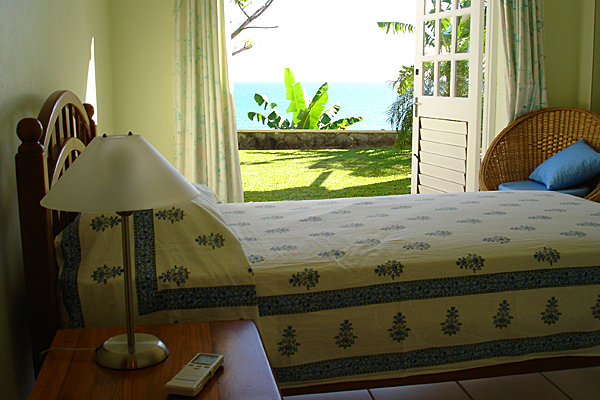 We’ve known and recommended Henry and his Tobago villa for years. 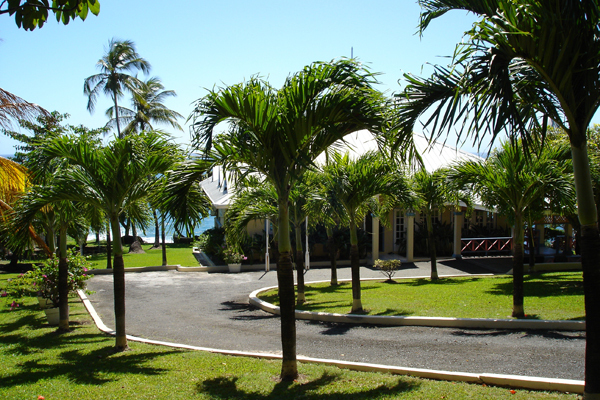 Bacolet, Tobago is a quiet residential area in the more affluent part of the island. Restaurants, shops, beaches and attractions are just a short drive away. Two excellent golf courses are a 5 minute drive away. Caribbean coastline beaches are a short drive away, as is the historic Fort George and some of Tobago’s best hotels and restaurants. 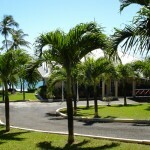 £1,650 (US$2,750) per week for the villa for 10 guests. There is a supplement for an extra 2 guests. See the owner’s website. 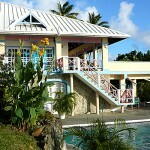 (Christmas and New Year is £2,000 per week for 10 people) You book this Tobago villa directly with the private owner. Contact the owners via their website for details about payment. US dollars, TT dollars, Euros and £ Sterling. 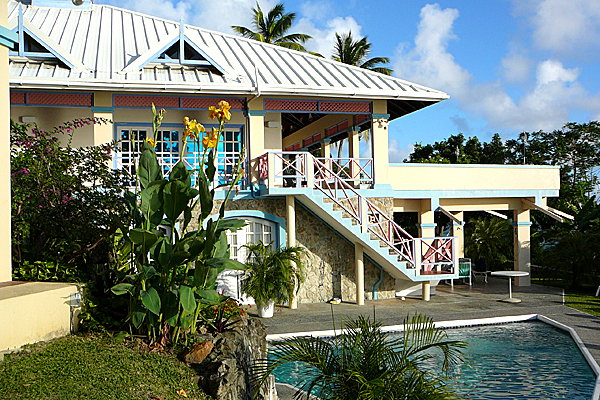 See the Seabreeze Villa Tobago website for details and to make a booking enquiry. You can email or call Henry in the UK. Contact details below.